Pat Ford is a long-time advocate for quality education on behalf of children in urban school systems. 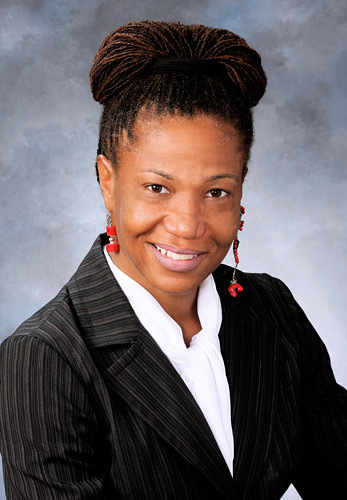 A Chicago native with more than 20 years of experience in the field of education, organizing and community development, Ms. Ford is currently the Education Program Director of the Steans Family Foundation (SFF). Ms. Ford is responsible for directing over half of the foundation’s resources to support the educational continuum including college access and retention. Prior to joining the SFF, Ms. Ford was Executive Director of the Chicago High School Redesign Initiative, a donor-advised fund at the Chicago Community Trust. She oversaw a $25M grantmaking and technical assistance operation which involved working in partnership with the Chicago Public Schools and civic leadership in Chicago to support the start up of small, public high schools. Her professional experience also includes a post as Program Director of the Chicago Annenberg Challenge, a $50M grantmaking operation which involved more than 250 schools working together in 45 networks citywide. Ms. Ford was also founding Co-Director of the Small Schools Workshop, formerly housed at the University of Illinois, where in addition to managing staff, she helped to launch several innovative small schools in the city of Chicago. During her tenure with the Chicago Youth Centers, Ms. Ford had overall management responsibility of two community centers in Chicago’s North Lawndale neighborhood, American Boys Commonwealth and Boys Brotherhood Republic. As Academic Program Director at Community Youth Creative Learning Experience, Ms. Ford worked extensively with students and their families from the Cabrini-Green Public Housing Complex, where she designed and implemented progressive educational programs. Through her work in the non-profit sector, Ms. Ford has developed a deep understanding of issues facing Chicago’s schools and minority communities, and has an extensive network of relationships with a wide range of school reform and community organizations, funders, educators and policy makers. Ms. Ford received a Master of Education Degree in Instructional Leadership from Loyola University in Chicago and a Bachelor of Arts Degree in Elementary Education from Bradley University in Peoria, IL.